We have countless photos of our dogs, and wanted something different from simply hanging pictures of them around our house. These are a few of the items we created, and there are limitless possibilities for creating custom decor pieces, accessories, clothing, and even gifts. 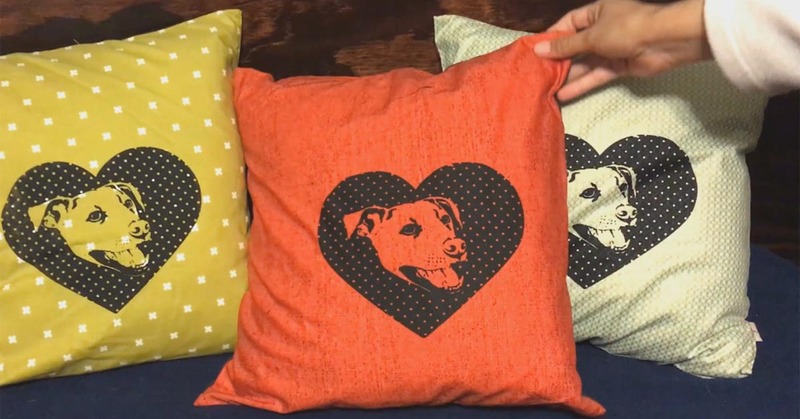 In these examples, we used images of our dogs to personalize the design of throw pillow covers. We first edited the photos to create two-color designs. Then we screen printed the designs on a wide variety of fabrics. Finally, we produced a batch of custom throw pillow covers. These were much easier than the screen-printed pillows. 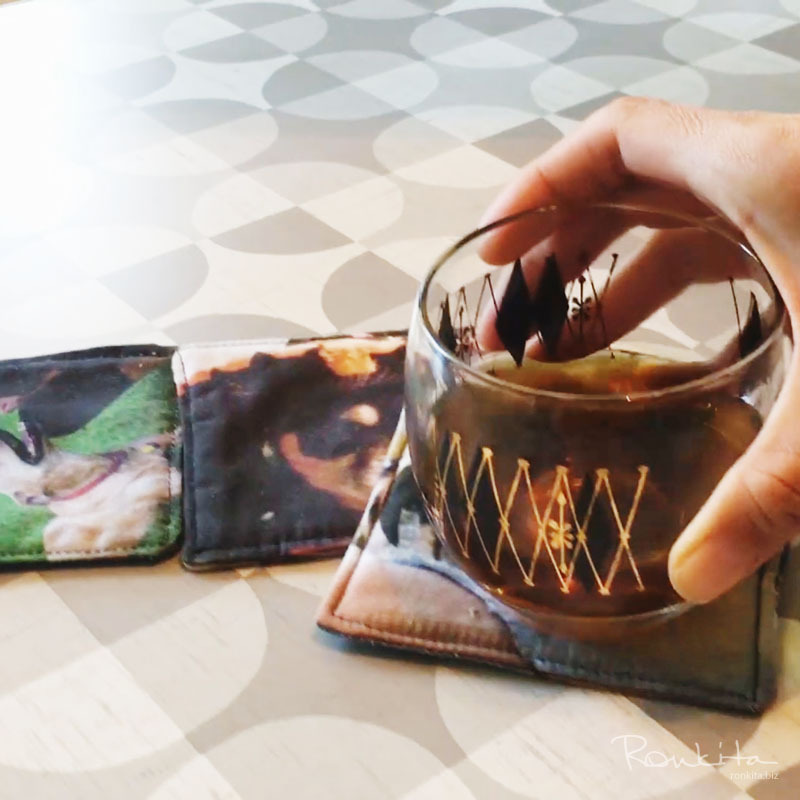 We started by creating custom fabric using their photos. 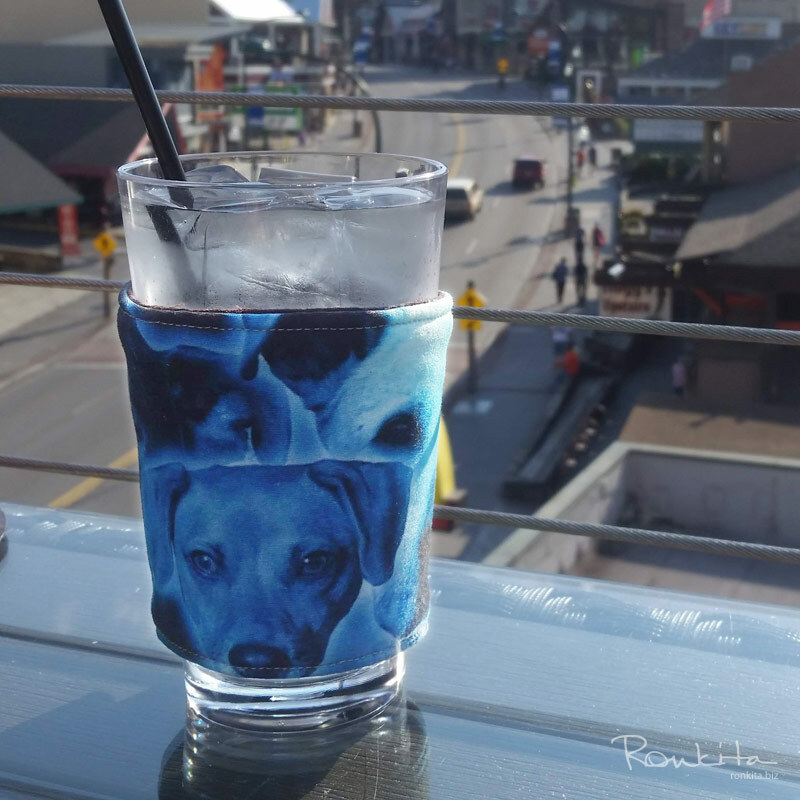 Then produced a batch of the coasters and cozies, and several other custom pieces using photos of our other dogs. Want your own custom pieces made? We can create decor, clothing, gifts, and more using your photos, graphics, and branding. 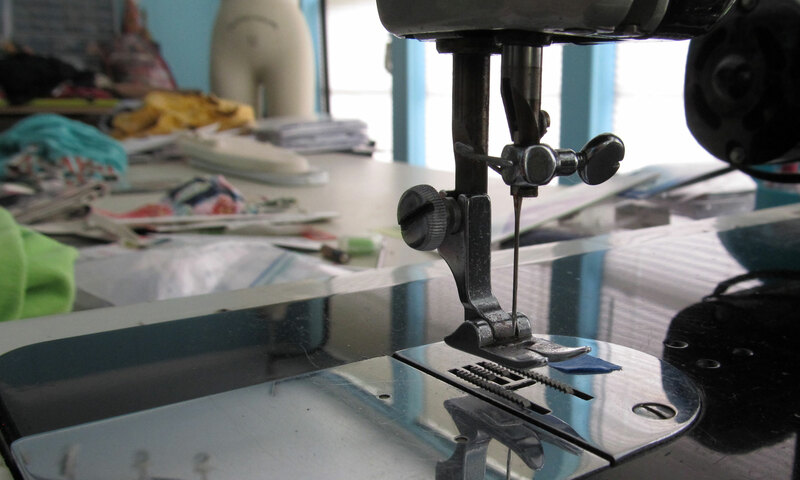 Contact us with any questions or to get started, or learn more about our custom sewing services.